The Blaze took on their biggest obstacle to the division title in this game and after losing the first meeting with the Warriors, the Mid-West Division Champions for the previous 4 seasons, in Milwaukee they felt they had something to prove. Val Vechinski threw for 45 yards including a TD pass to Kara Haines. On her only attempt of the game, Brenda Seggerman threw a 27 yd TD pass to Tiffany Loomis. Jessica Lundgren ran for 96 yards on 18 attempts including 3 trips to the end zone. The Blaze continued to take charge as Sheena Hirschfield ran for 22 yards with Kara Haines adding 14 yards on the ground. 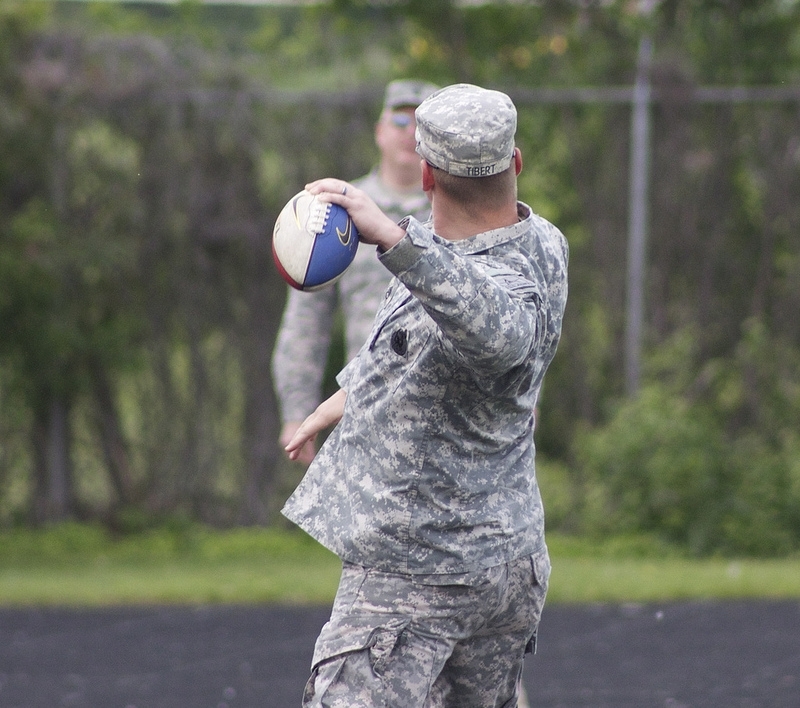 Chelsea Alt was 4 of 6 on PAT’s and kicked for 337 yards for a 48.1 yd kicking average. 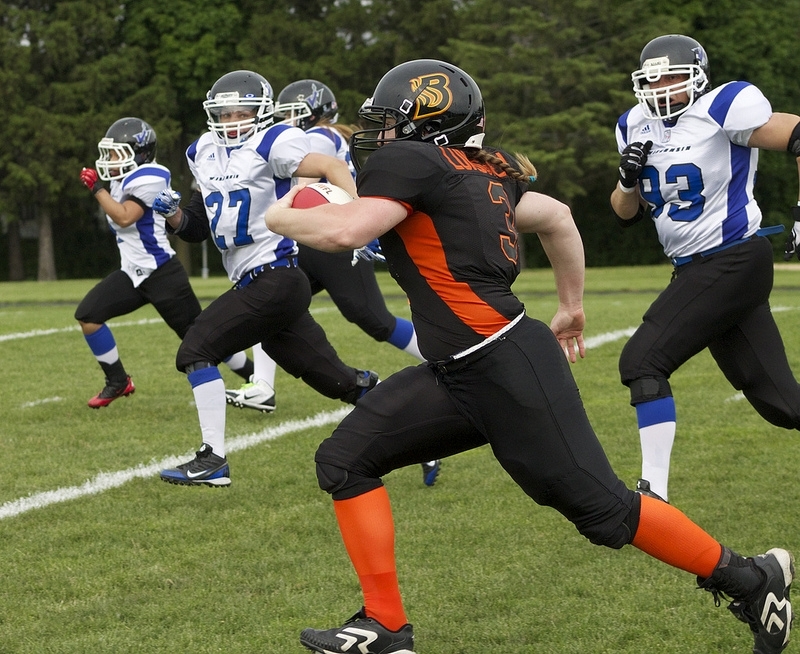 The Blaze proved to be a powerful force as the leading tackler was Pam Close with 6 tackles followed closely by Erica Gittings and Tiffany Lein with 5 tackles each. 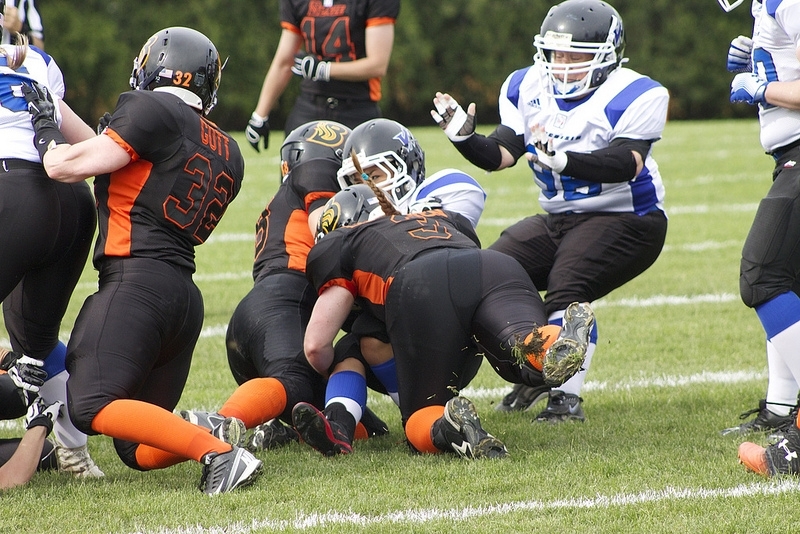 Sarah Fowlkes forced a fumble to go with her 4 tackles on the day. Hirschfield, Seggerman and Lein each had a fumble recovery. Lein also added an interception, a defended pass and scored a touchdown on a muffed punt which she picked up on the run and took into the end zone for 6 yards. Kelsey Justin also had an interception in the Blaze victory. ﻿Game 3: Madison Blaze @ Minnesota Vixen<< >>Living Social Deal!